The violence that surrounds Chicago’s inner-city is well known and documented, though the reasons behind this violence are a little less well-understood and acknowledged. While we are only in the beginning part of Spring, the level and amount of violence this year has been really high. On the night of Monday, April 2, 2012, Ulysses Martin, father of three and longtime Chicago Lawn resident, became another victim of this violence when he was shot and killed. The details surrounding the shooting are unclear; it was initially reported by the Chicago Tribune after talking with police that Ulysses was shot after an altercation with another man. However, a local community organizer was told by one of the victim’s family members that Martin was shot during crossfire between rival gangs. The shooting took place on 61st and Washtenaw where Martin was hit; he would later collapse on 62nd and Fairfield in front of Fairfield Elementary School. 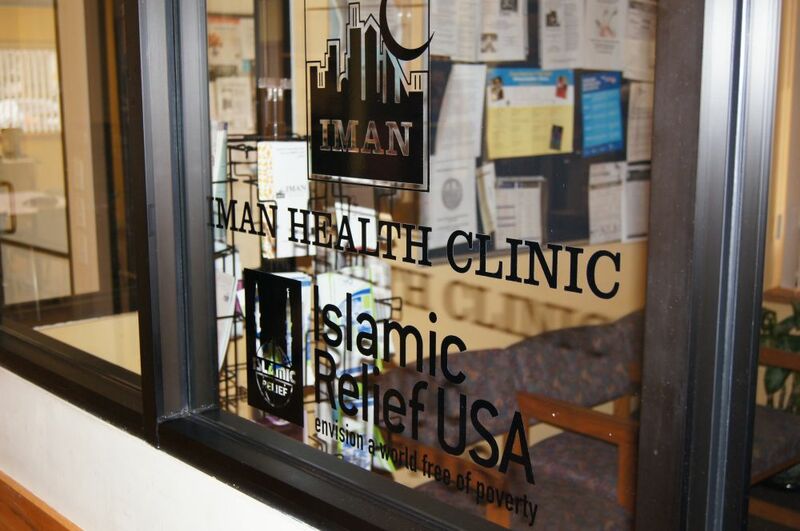 That corner is also a block east and north of the IMAN office. In response to this tragedy, which struck particularly close to home, IMAN, along with fellow community and religious organizations arranged a multifaith prayer and observance event to show solidarity with the family of brother Martin, as well as the greater Chicago Lawn community. 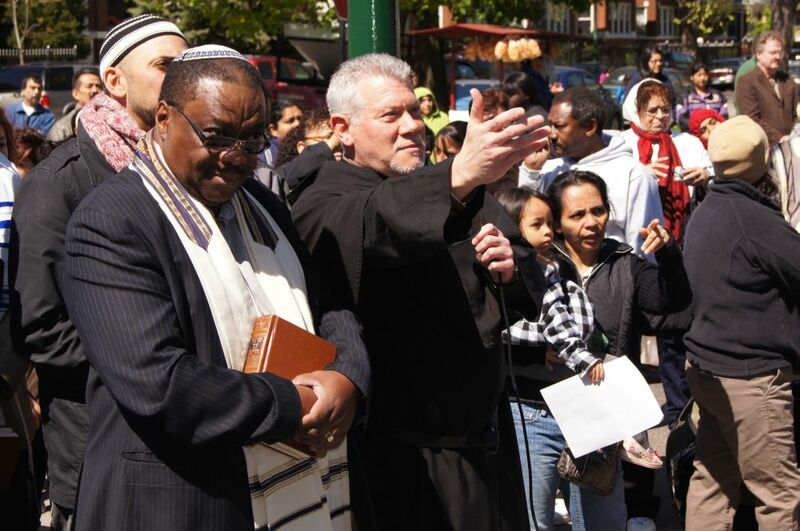 On Friday, April 6, 2012, three days after the deadly shooting, parishioners of St. Rita of Cascia, congregants of Temple Beth Shalom, and members of the local Muslim community all gathered where Martin had collapsed on the corner of Fairfield and 62nd. 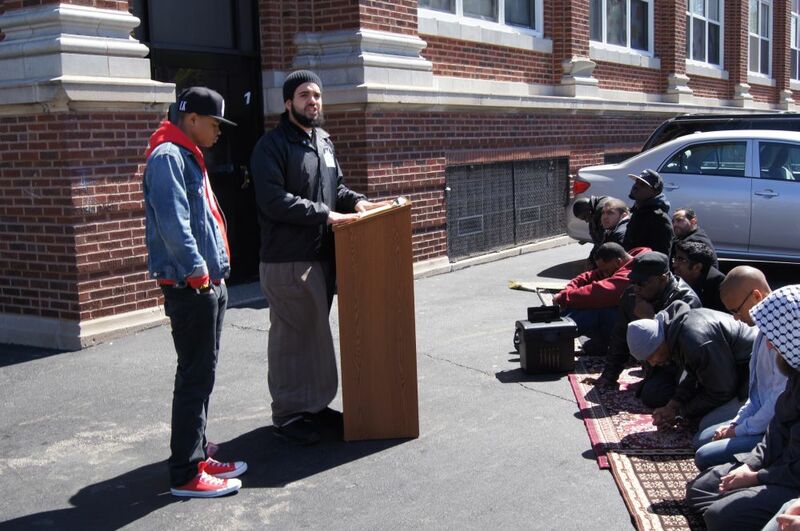 The jum’ah prayer was led by Gemali Ibrahim, a community organizer with Southwest Organizing Project (SWOP) and someone very familiar with the neighborhood of Chicago Lawn. In his sermon before the prayer, Gemali spoke about the ramped-up violence in our community this Spring. 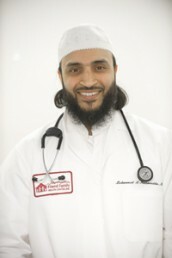 He expressed a commitment on the part of the local Muslim community, in partnership with other religious communities, to take a stand against this violence. This stand may take the form of spiritual, organizing, educational, or other kinds of efforts in collaboration with community leaders and residents. On April 6, hundreds of people acknowledged and took a stand against the tragic way in which Ulysses Martin was shot and killed. In doing that, they also displayed the religious and racial unity that will be needed to lift our community out of the fear of constant violence.